The old type of CRT TVs is long gone, and the only place to find them these days is in the basement. That's because HD flat screen televisions are much cheaper than those old televisions ever were and deliver a much better picture quality. In other words, it's easy and inexpensive to upgrade your old TV into the HDTV. But to get the best picture quality from the HDTV and High-Definition component- whether it's a Game console, Blu-Ray player or High Definition receiver - you also need a HDMI connation / cable. How much data can they carry? Why they changed from HDMI 1.3 to HDMI 1.4 for 3D and how does it actually work with the new 4K resolution? In order for the high-definition television to be able to display quality image, it requires to scan 1080 lines of pixels in a progressive way. This can be done only when the image data is rendered rapidly. The normal coax television cables or even the 1.3 HDMI cable can not carry a huge digital data load per second, and without a suitable cable the picture would not be full high-definition. When it comes to viewing 3D the requirement for high speeds 1080p cables becomes even more important. 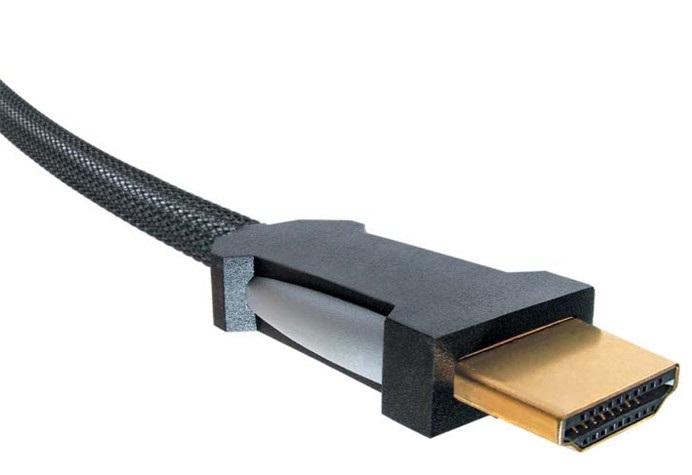 The next generation 1.4 HDMI cable was introduced in 2009. It allows the parallel streaming of two images with a resolution of 1920x1080 pixels and produces a 3D picture in Full HD resolution. Now, the next generation Ultra HD 4K resolution TVs offer 3840x2160p and come with HDMI 1.4. This interface manages to transmit the Ultra-HD resolution on television but the problem is that HDMI 1.4 creates this resolution with a maximum of 30 FPS. It is great for films and TV shows, but video games need 50 FPS or 60 FPS for smooth playback. The other problem is that the ultra high-definition 4K provides 16-bit color images at Full HD resolution. However, HDMI 1.4 is limited to a color depth of 8-bit. The next-generation of HDMI 2.0 is rumored to have a color depth of ten to twelve bits, besides a 60FPS. Most 4K TVs are currently equipped with HDMI 1.4. However, Samsung plans to offer an upgrade kit that will make the current Ultra-HD -- HDMI 2.0 compatible devices. There's no word yet on when the HDMI 2.0 will arrive on the market.